Our company is engaged in the manufacture of a wide range of Multiple Plug Testers which have been made using the best technology available in the market and they are used for testing the plugs to ensure they are in perfect condition. These products have been made using the best raw materials which have been bought from reliable market vendors and they offer a long lasting service to the customers. These products are high on demand in the market and they are very durable. Measured value is more than reference value. 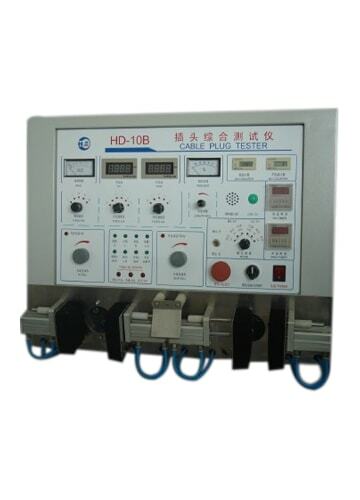 Cut off output voltage and provide failure signal. Judgment The insulating resistance of tested object is smaller than the set reference value; provide the failed IN signal.